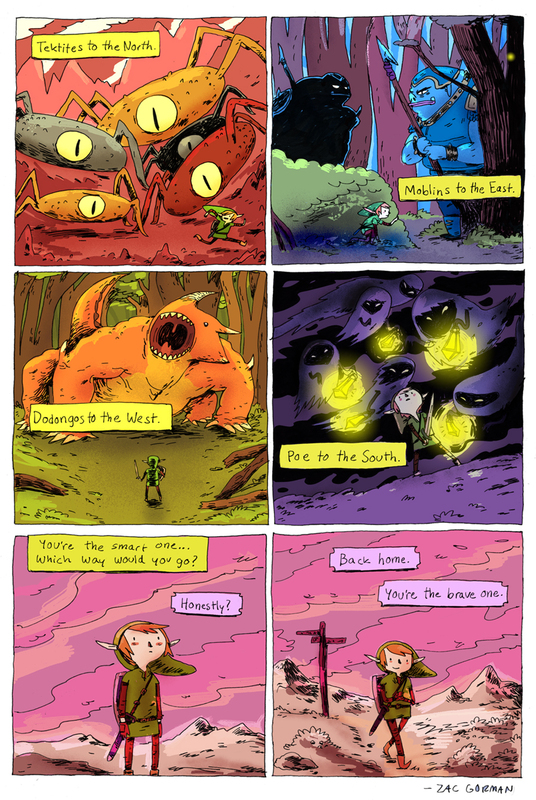 Zac Gorman of Magical Game Time always makes fantastic Zelda comics. They’re not necessarily funny, but the art is superb and there’s always a message that makes us consider more about what we could learn from Zelda, video games, or even adventuring in general. This week’s comic, however, seems a little bit different from the kind of message Zac usually likes to convey, however. Hit the jump to read! 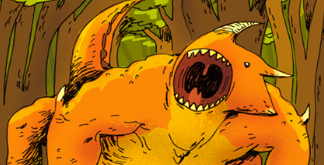 If you’ve been following Monday Comic Corner for a while or have read a lot of the comics on Magical Game Time, you’ll know that the Zelda comics Zac Gorman creates have a certain kind of message. They’re often inspiring and reveal more about what a story could be than just “Link saving Zelda”. This comic seems different, though. It questions what bravery is. The definition of bravery is, “ready to face and endure danger or pain; showing courage.” My first inclination is to believe that Link is avoiding the danger, but I’m not sure that the premise is that Link needs to fight through those enemies. If there isn’t a purpose, the smart decision would be to live to fight another day- to be “brave” another day. Also, as a bonus, here’s another Magical Game Time comic that has a little less confusing theme.